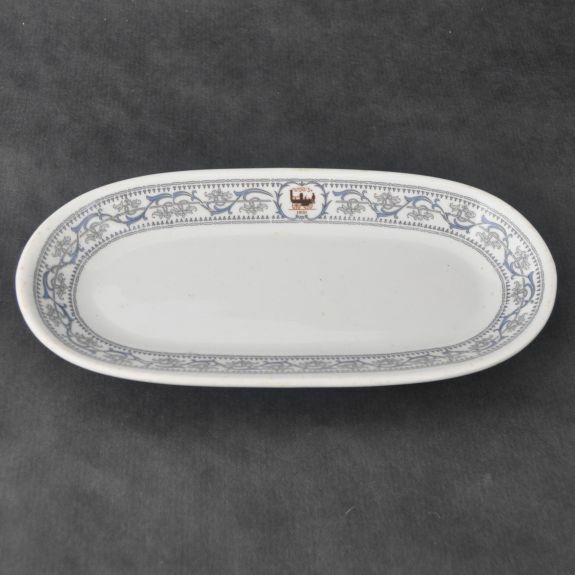 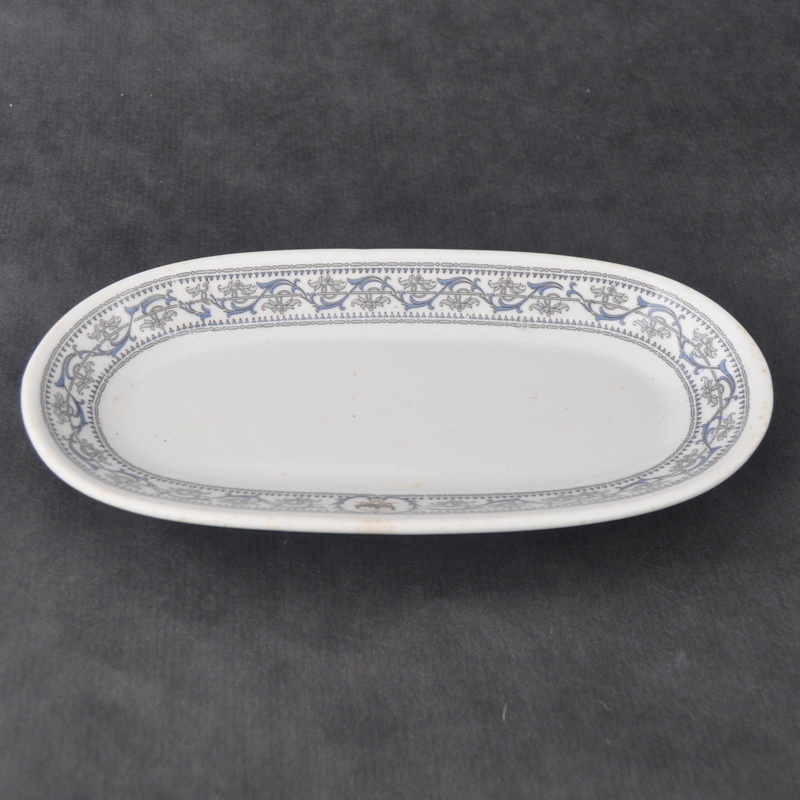 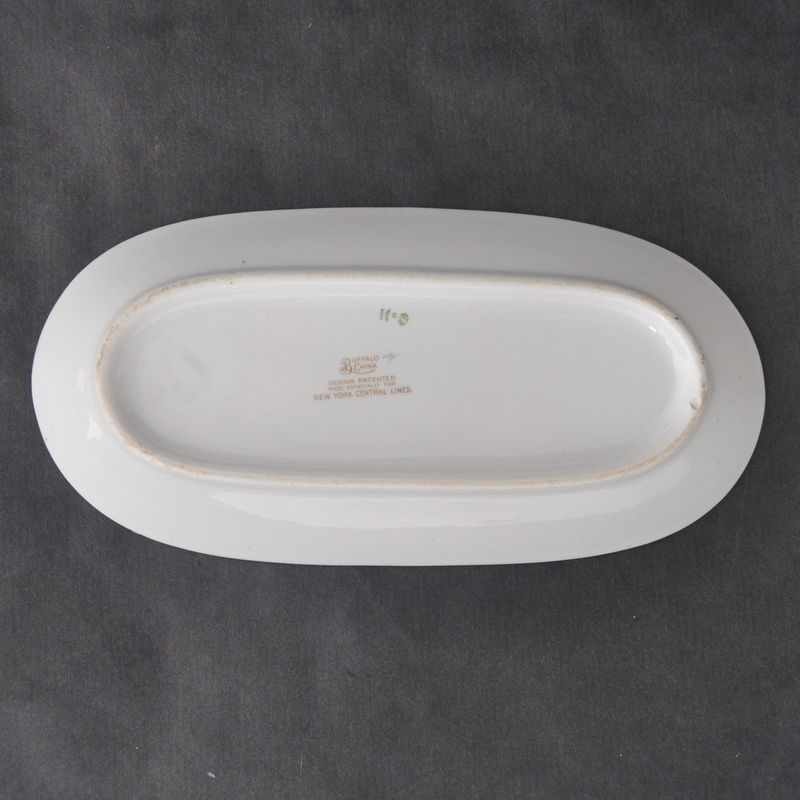 Description New York Central (NYC) Railroad Buffalo China undated 9.75 inch Individual Celery Tray size #2 in the Buffalo China body style. This is an example of the NYC's DeWitt Clinton pattern, which was used on all dining cars from the 1920s until the 1950s. 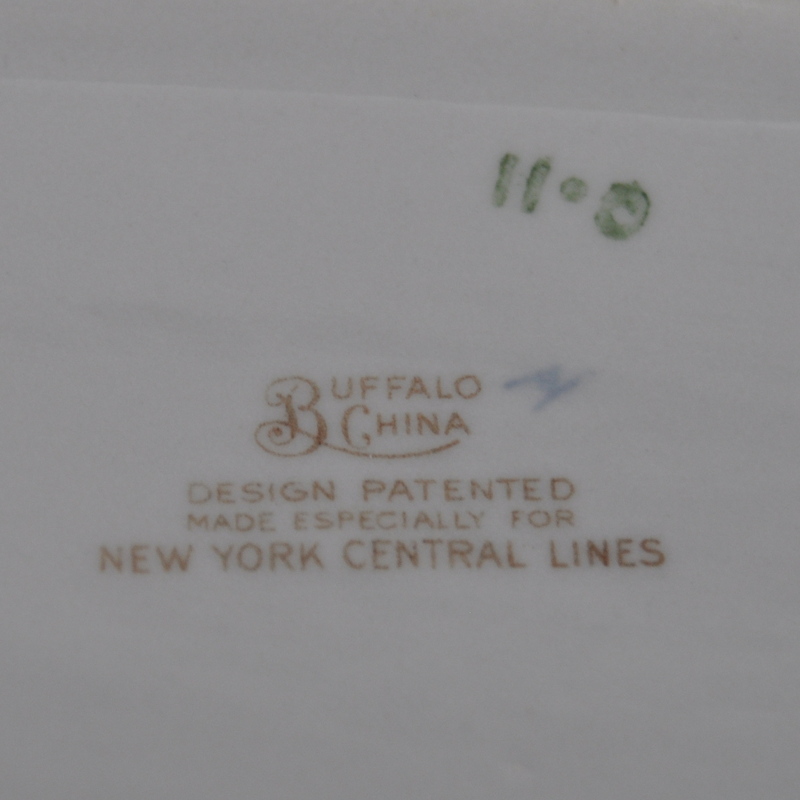 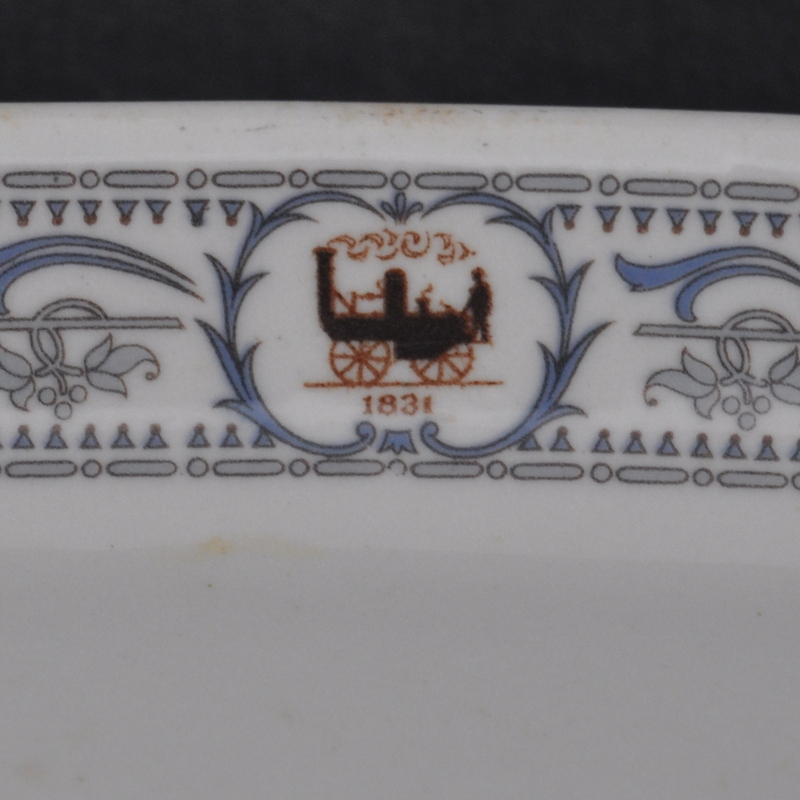 This piece has the full "Design Patented, Made Especially For, New York Central Lines" backstamp.